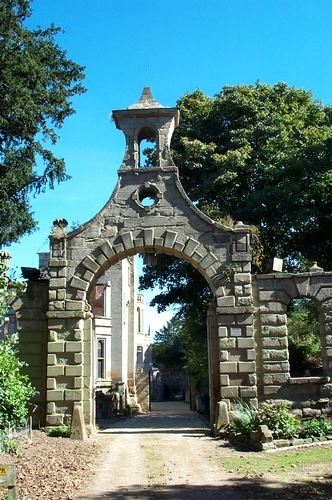 The arch as you enter the grounds of the house. 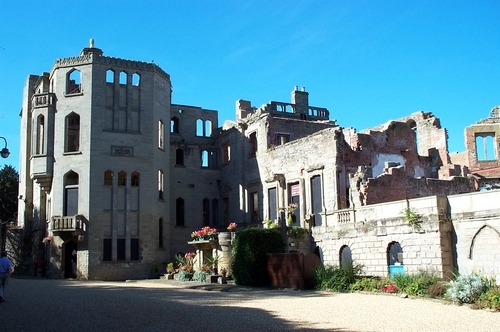 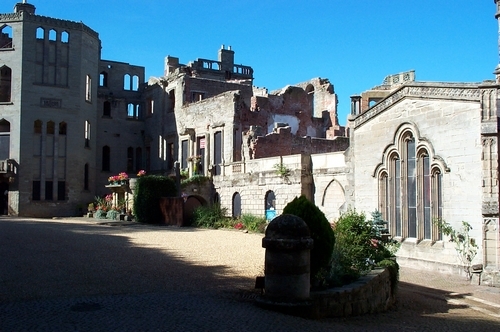 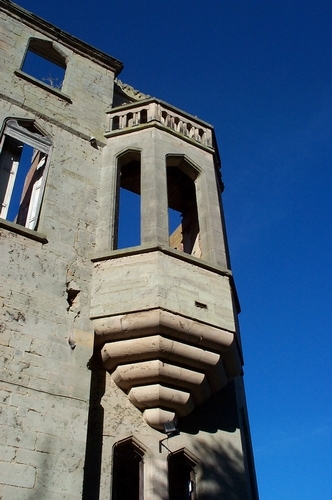 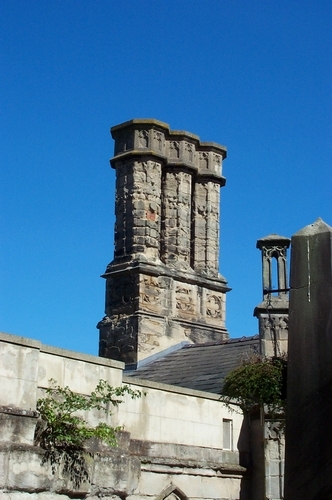 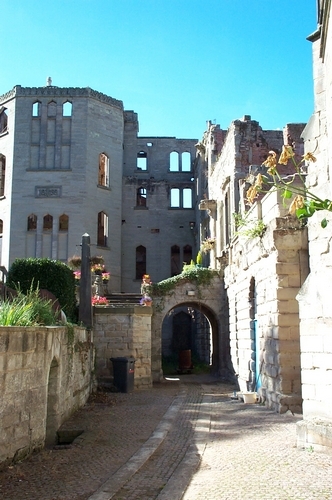 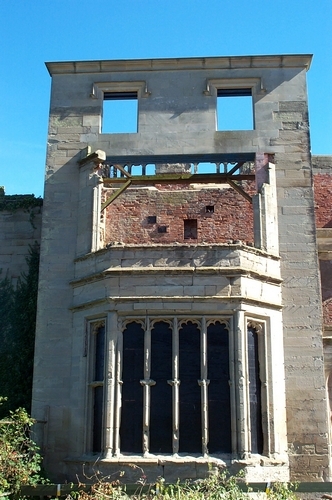 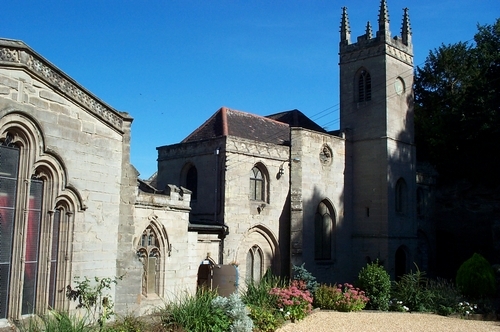 The ruins of the house, now owned by a Masonic Lodge. 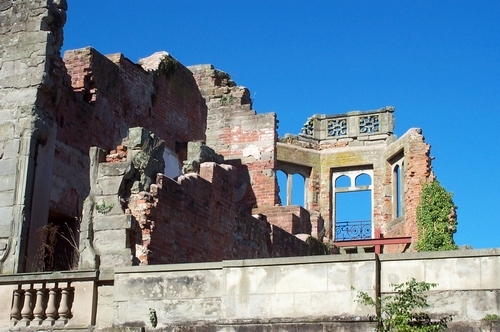 View of the back of the ruined house. 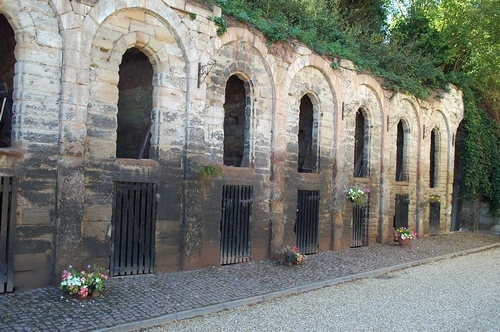 Natural caves behind the arches used as storage. 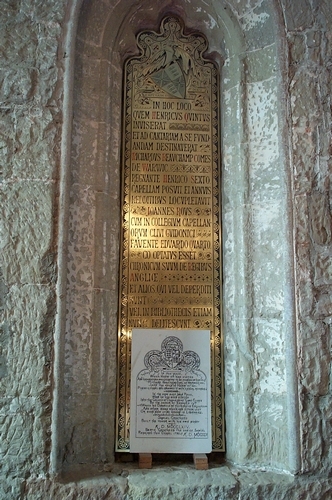 Brass in the chapel commemorating Richard Beauchamp's founding of the chantry. 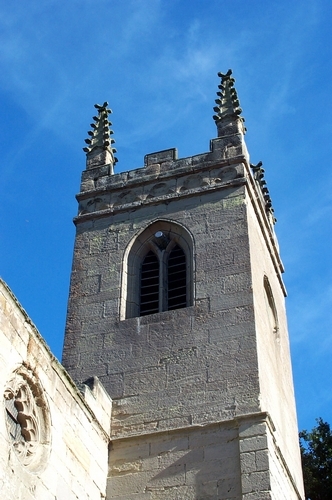 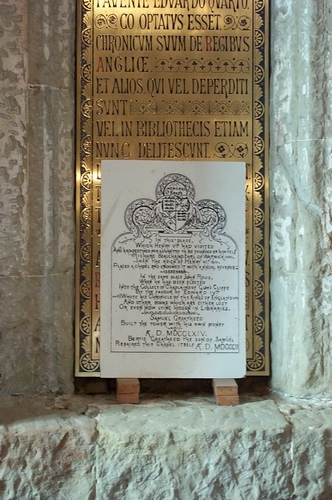 The brass also commemorates John Rous as the chantry priest.